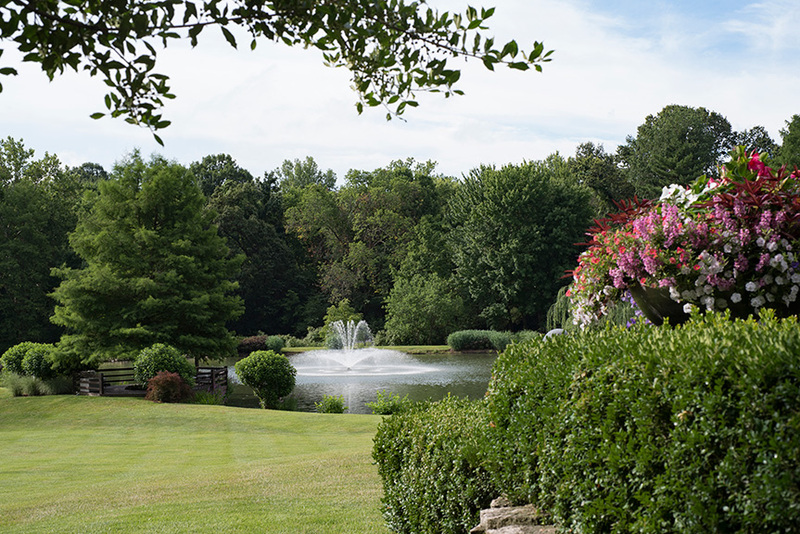 Homeowners and their trusted property manager infuse their passion for gardening into this spectacular Ladue estate and St. Louis Homes & Lifestyles 2017 Garden of the Year. 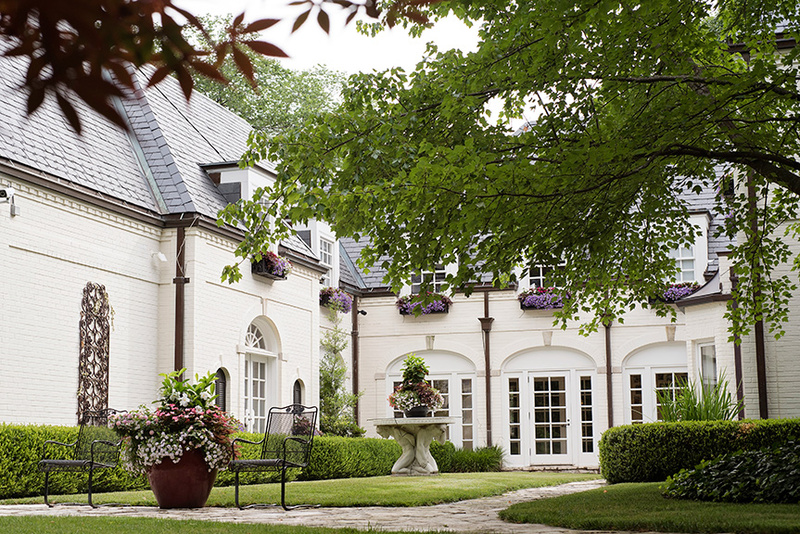 Suzie and Dave Spence knew when they purchased their Ladue home and the nearly 11 acres surrounding it in 2010, they were buying a piece of St. Louis architectural history. They also felt a keen sense of responsibility. 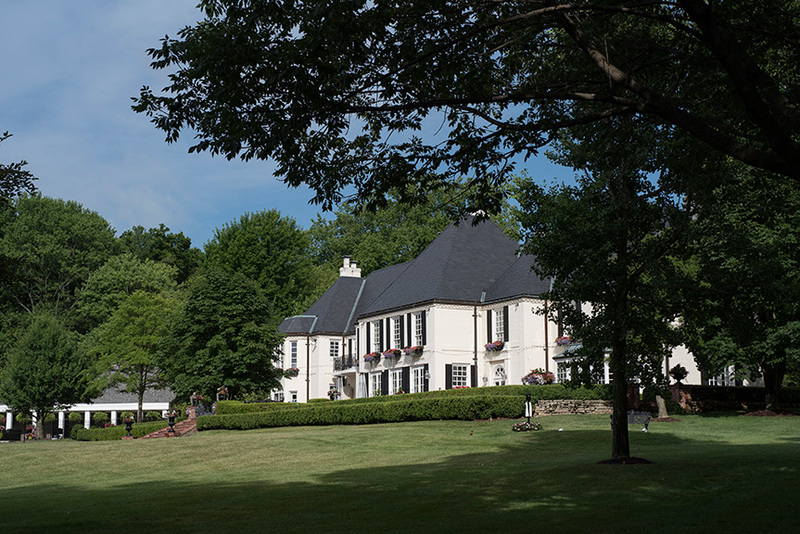 Created by famed St. Louis architects Raymond E. Maritz and W. Ridgley Young for the Bakewell family, the cottage on the estate dated from 1934 and the main house from 1936. They were two of well over 100 Maritz and Young homes built in the most affluent areas of St. Louis during the first half of the last century. In 1985, the home became the property of wealth management executive, art collector and vineyard owner Don Bryant and his then-wife Barbara. The Bryants tripled the size of the main, French Chateau-style residence, added formal, boxwood enclosed-terraces, a cutting garden, a pool house, a putting green and a squash court. But as time went on they began to spend less and less time at their home in St. Louis. When the Spences bought the property, it had been on the market for two and a half years with the Bryants visiting only occasionally. 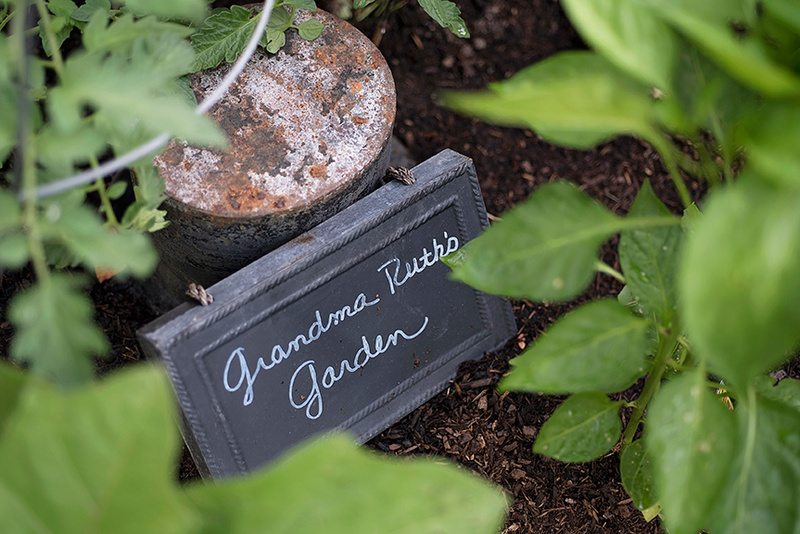 For Suzie Spence, the opportunity to take the bones of the garden that already existed and infuse it with her own passion for gardening was an amazing gift. 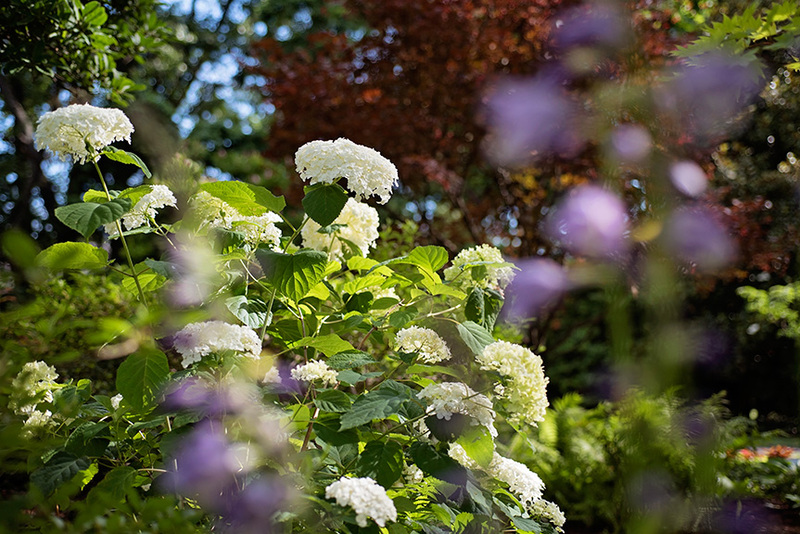 Growing up in Warson Woods with a father who was an avid gardener and naturalist, Suzie was born with a gardening gene. “My father grew orchids and kept bees,” she says, recalling that she was an avid participant in the family gardening ventures, “I used to go with him to bee meetings at the St. Louis County Library. We did things together like building raised beds for growing mushrooms.” She had created gardens at her two previous St. Louis area homes, but this was gardening on a different scale. They began with a six-month renovation of the house, moving in in 2011. Then, they began to contemplate the gardens. There were multiple things to consider: Did they want to maintain the green and tee boxes or dig them out; what about the overall ecological health of the lake, which was overgrown with water-loving plants? 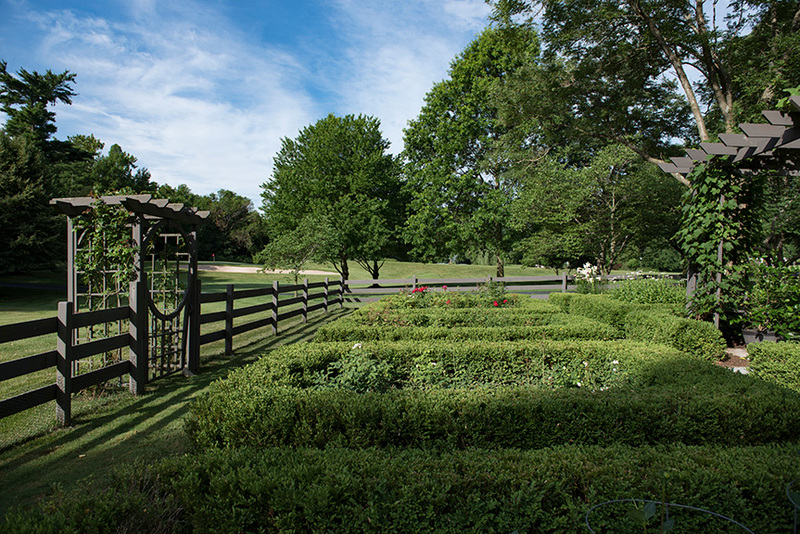 The multitude of boxwood hedges needed rejuvenation; so did the cutting garden. Fortunately, for Suzie and Dave, the gardens came with a horticultural treasure that did not involve plants. In 2006, John Bontrager had been hired part-time by Don Bryant to help maintain the putting green and a variety of tee boxes on the property. With a joint degree in horticulture and golf course management, John was working for an area country club at the time of the Spences’ purchase, as well continuing to look after the putting green, the nearby lake and the tee boxes. “John used his education to help me know what would work on the property and make better decisions,” Suzie explains, including sending turf and lake samples off to the University of Missouri for analysis. 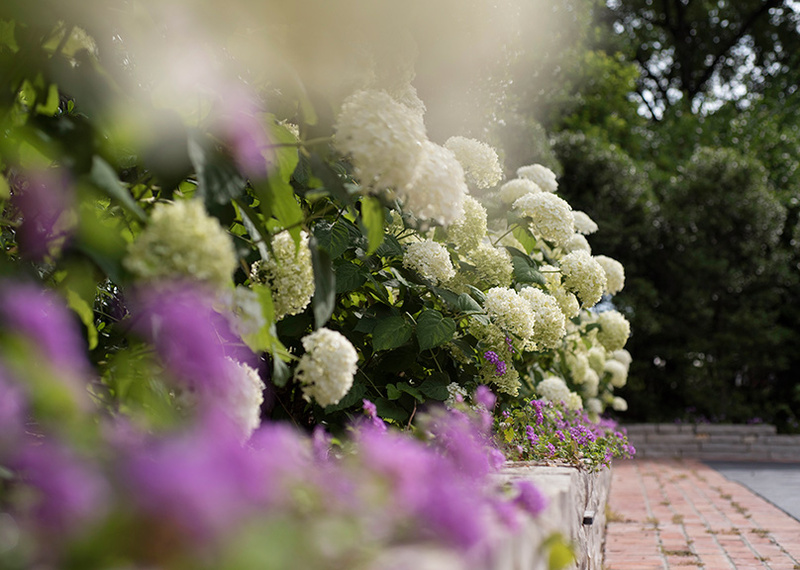 John’s knowledge soon became so integral to the renovation of the estate, the Spences offered him — and he happily accepted — a job as the full-time property manager. 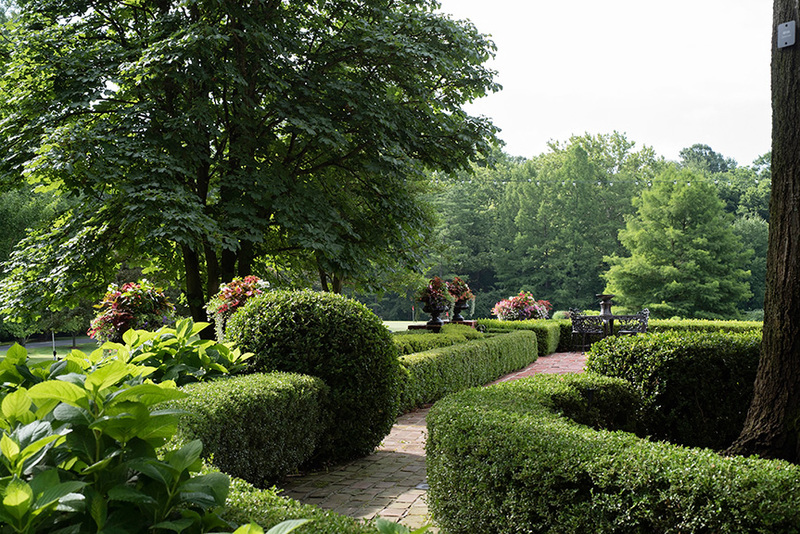 The renovation of the grounds began in earnest in 2012 with the parking courtyard at the front of the house and went on to the boxwood hedges and terraces, the pool and pool house. Part of that renovation included the addition of 35 large planters and 42 window boxes. They went on to refurbish the cutting garden adjacent to the charming country cottage, where Dave Spence’s mother now lives. They also added vegetable and fruit gardens plus a chicken coop in the same area. 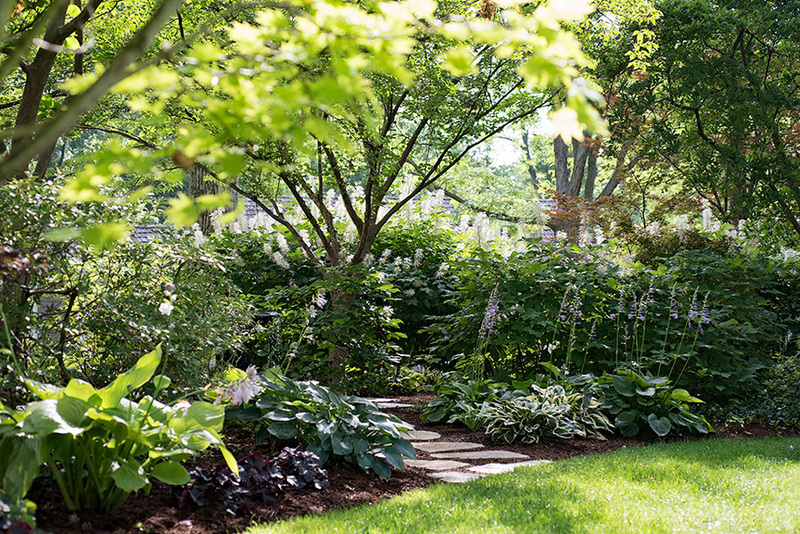 A shade garden showcasing a variety of Japanese maples provides a lovely walk between the main house and the cottage. Suzie and Dave also considered the overall vistas on the 10-plus acres of rolling ground. “We spent a lot of time looking at the trees and the overall health of the trees. We had to be selective in what we kept,” Suzie says, noting that the grounds contain numerous specimen dogwoods and magnolias. One of the things she particularly loves are the layers of trees that draw the eye through the property. When Suzie and John talk about their work on the gardens, their mutual respect, enthusiasm and easy working relationship is obvious. “I know someone who is on a ladder every two weeks to check the overall health of the plants in the window boxes," says Suzie, looking meaningfully at John. “We actually have extra pots and window boxes that are planted at the same time as the others so if we need to trade out a plant, there is one of the same size to add,” he explains. Each summer John plants experimental window boxes and pots looking at different plant combinations with the next year in mind. They are full of praise for Ferida Miskovic, who has since joined the team. “She came to the United States (in 1996) as a refugee speaking no English from a 300-acre farm in Bosnia at the age of 20; all of her talents she used there, she has brought here,” says Suzie. John and Ferida also have begun starting seeds and plugs in a hot house to produce the 2000 flats of plants that go into the landscape in the spring. 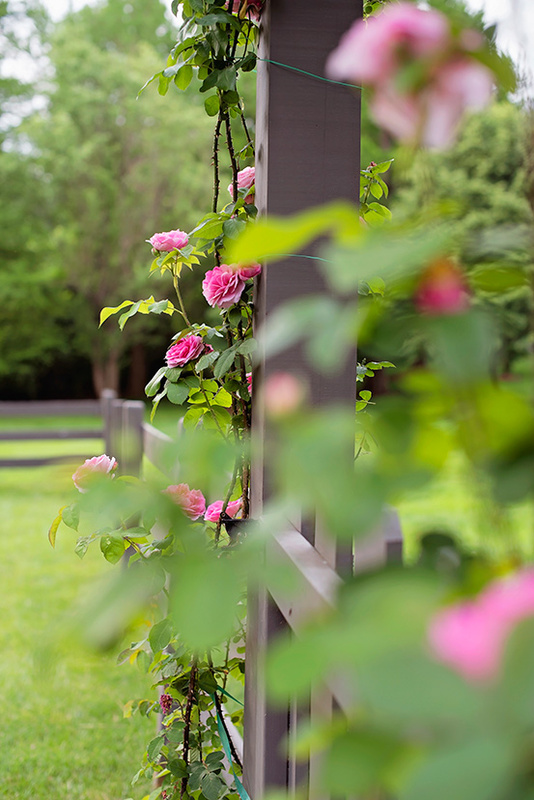 She has some practical advice that works no matter how large or small a garden might be. “Sometimes gardening can seem very intimidating,” she says. “But there really is no right or wrong. It’s like decorating your home. If you like the way it looks, then nothing else matters.” It also is continual experimentation, she notes, explaining that she and John have a holding area for plants that don’t fit where they are and need a new home. Even with the best of help, there can be a crisis. 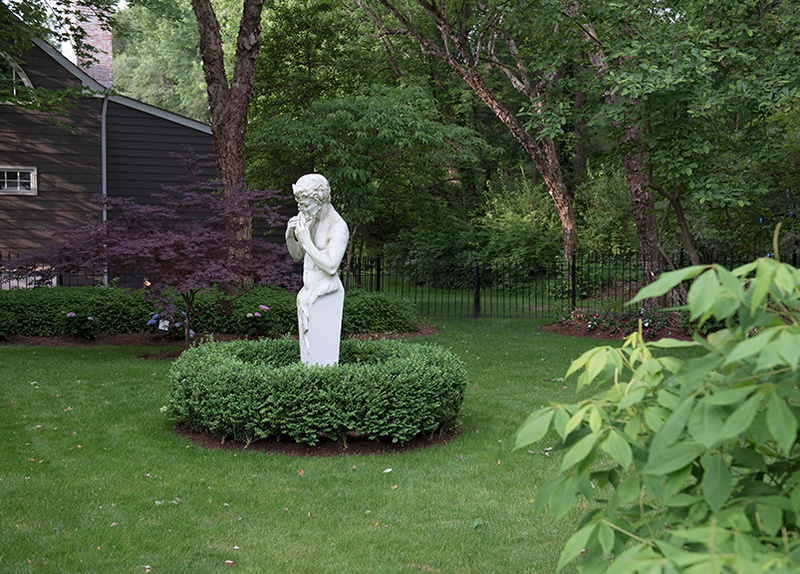 “When we first renovated and planted the front courtyard, it didn’t get enough water. 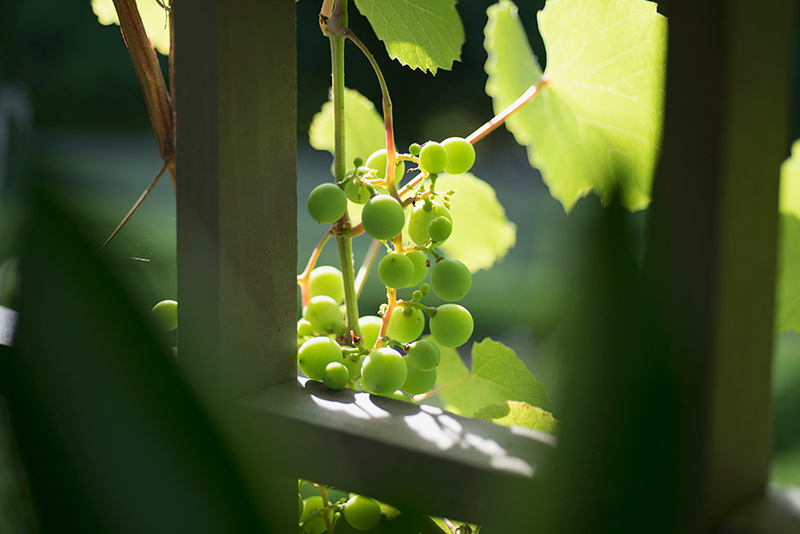 Then, we over-watered and almost lost the whole thing,” she recalls with a rueful laugh. 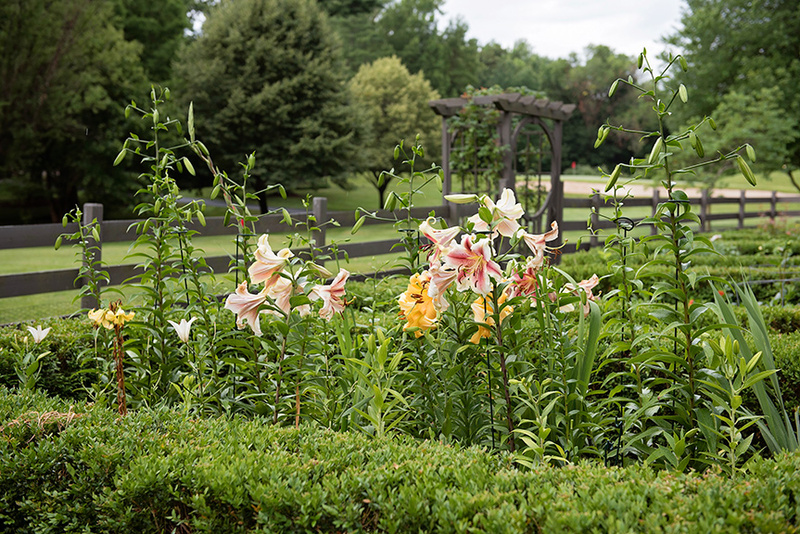 With most crises behind them, Suzie and Dave are thrilled that the renovation of the grounds is far enough along that the family, that includes the Spences' four grown children, can begin sharing the estate with the community. 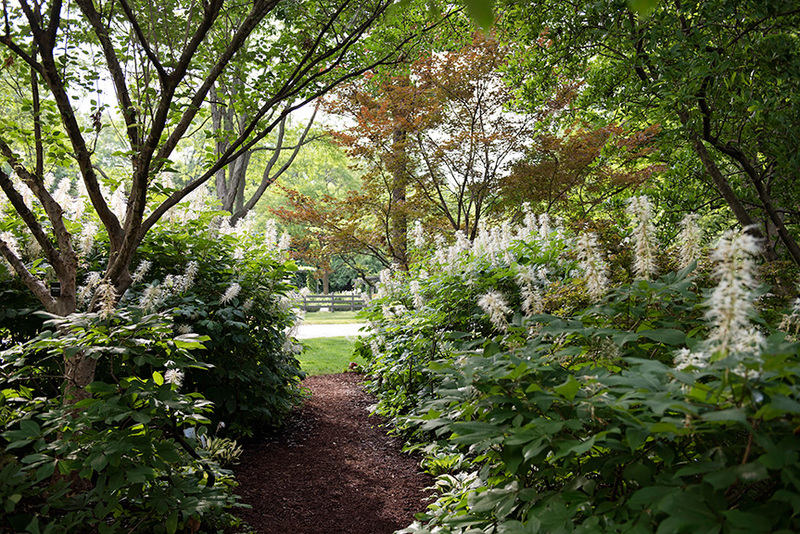 In June, the garden was a part of the Missouri Botanical Garden public garden tour. 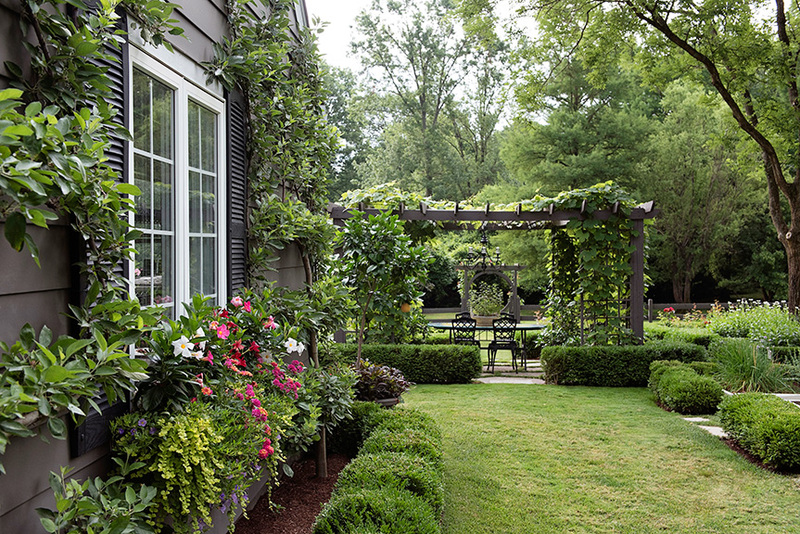 The property also has been on the Nature Conservancy Garden Tour and the Midwest Boxwood Society tour. In addition the Spences have made their home and grounds available for numerous charitable events. Local school golf teams have used the tee boxes, sand trap and putting green for practice, and Suzie is making plans to make the vegetable garden, chicken coop and eventually the bee hives, complete with an observatory area, available to school groups. “We are blessed that we can do it,” Suzie affirms.